It was on a particularly rubbish commute on my homebound train that I made a choice. A leap of faith. To resign from my job and leave the bosom of a global bank that had treated me well, a supportive team I genuinely loved working with, a challenging but enjoyable job and an understanding boss thrown in too. So why did I choose to leave when all those elements stacked up so well and yet so many people have struggled to find even a fraction of that kind of fulfilment in their employment? Well here’s the thing. In the past year of doing that job I had been working at full throttle to make sure I was making a difference, having an impact and just trying to make sure I did a great job. My working days were long because I insisted on having a full-time presence within my London patch (a 4-hour daily commute). Inevitably I was working into the evenings and weekends because I was studying for exams to complete my financial diploma. Most days I would get home just in time for a bedtime cuddle with my 8-year-old boy and a brief chat about what he ate for lunch, a quick run through of how he got his grazed knee, but it would always end with the same question ‘mummy, are you away again tomorrow?’. Then at the end of the summer on the first day of my annual leave I looked up and suddenly realised my 12-year-old son had grown exponentially as he cleared my head by several inches. My children were growing up and I was missing the moments that make me grateful to be a parent. I felt like a stranger that gave my children so little during the week and over compensated by smothering them with affection at weekends. My energy was consumed with juggling every aspect of my life, arranging and rearranging events, appointments and people whilst nursing a constant headache of logistics. Organising childcare was a military operation that included breakfast clubs, after school clubs, my husband changing shifts, taking holiday from his full-time job and pulling in favours from our long-suffering friends. It seems you can’t even pay someone to have my children at 5.30am and so I have found myself on more than one occasion on a friend’s doorstep at the crack of dawn weighed down by a familiar dark shroud of guilt. Standing with heavy shoulders and waiting with my barely awake youngest son clutching a carrier bag of cereal and milk for his breakfast with instructions written in biro on his arm of who will pick him up from school that day. Whilst I was missing out on time with my children it felt like my entire day was spent travelling to and from work and my precious time was being sucked into the commuting blackhole of waiting, queuing, walking, running and rushing. 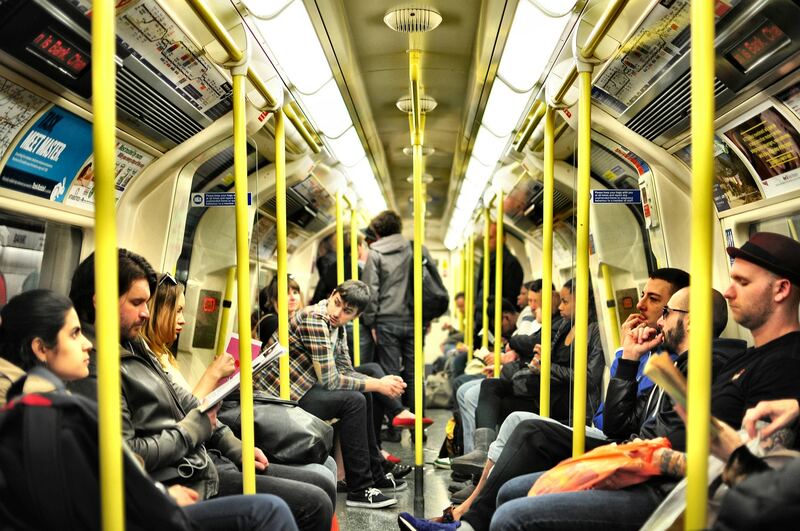 As a regular London commuter that stood by my favoured spot on the platform cradling a vat of coffee, I was part of the city suit tribe that shuffled and scuffled for a seat each morning as most of us would launch ourselves towards a prized table seat. The soundtrack to my journeys was the clatter and clang of phones and laptops being laid out ready to do business and the collective huffing and puffing as we all struggled to get onto the Southwest Trains Wi-fi. Eventually everyone would find their rhythm as the train starts and the tip tap tapping of furious fingers on keyboards and the barely audible zooms of emails start firing out. Whilst my fellow commuters were running the world, I should have been using the 1 hour 19 minute train commute as an opportunity to run my day, to prepare myself for the meetings ahead or at least read some study text. In reality this time was reserved for some frantic remote parenting mostly in the form of manic text messages to my husband. I can only wince as I imagine my husband’s reaction as my messages flood through each day. I wanted more time working from home or at least being close enough to home that I could participate in family life and whilst I had some autonomy, I was constrained by the very nature of my role. A job that needed me to be ‘on the road’, mirror the diaries of my colleagues so I could be with customers and in the branches and offices across central London. I had a diary I could manage within reason but as with most large corporations, I had very little control over the time and place of events and engagements that I needed to deliver. I had to adapt and work alongside the operating rhythms that were embedded into the life of an organisation that employs thousands of people and services customers in their millions. This is not to say I didn’t make the most of being in London and took advantage of being in our vibrant capital city. I have visited loads of art galleries and museums, hunted graffiti in dirty tunnels and trendy street corners, been entertained by West End musicals and danced into the night at music gigs, filled my face and stored around my waist enough glorious food to hibernate until 2020. I was a typical London commuter that wore crappy trainers with my suit and throw myself up and down the left-hand side of escalators but I could switch to tourist mode in a second when I saw a skyline, old building, oddity or pretty window display and would stop suddenly to take a photo. Generally causing disruption and havoc as the commuters behind me concertina into a mess of suits and curses behind me. Once a week I stayed overnight in town on my sister’s sofa to ease my commute. It was one night away from my family just to get more sleep and maybe complete a 5K run around the docklands before the start of another day. They say exercise helps mindfulness and relieve stress, but my life was not sustainable as it was. I was suffering from a slow silent stress. Stress that seeps under the door, like a slow flood that creeps in and suddenly you realise your feet are underwater. This was my work life struggle, there was no work life balance. I felt the daily pressure to get the ‘perfect’ balance knowing that it did not exist. I was looking for an unrealistic formula that meant I could be everything to everyone. I was working hard to fulfil my responsibilities with my customers and colleagues and challenge myself professionally every day, but I also wanted to be a present and caring wife and mother but be selfish enough to give myself some time for self-care, fun and exercise. I’d read in an article recently that Adriene Mishler (YouTuber and yogi) described how she wanted to live life and that was to try to do three things intimately instead of 300 things in a half-arsed way. In my efforts to do everything perfectly, I was probably doing a lot of things unintentionally in a half-arsed way. If I was being surveyed, I’m certain my friends and family would score me on the service I was providing as neither satisfied or dissatisfied or at best slightly satisfied. On that train journey home I understood in that moment that I needed to adjust my life. Once I’d made up my mind, suddenly it didn’t feel like I was plummeting into the unknown but taking a step of certainty to a new journey and a far less punishing commute.